Brief Synopsis – A man and woman working as play-writing partners are able to work together perfectly onstage, but the problems between them offstage cause them both heartache. My Take on it –I actually recall seeing this film with my parents when I was 9 and vividly recall the infamous “dress scene”. I’m now more baffled than ever that my mother would take a 9 year old to see a film like this because there is no way that I would take my 13 year old to see this let alone my 10 year old. I’m very glad that at the time I didn’t quite grasp the whole concept of this film’s plot because that would have been a very enlightening experience for me back then. What was my mother thinking???? This film has an interesting premise yet it doesn’t work largely due to the lack of chemistry between its two leads. 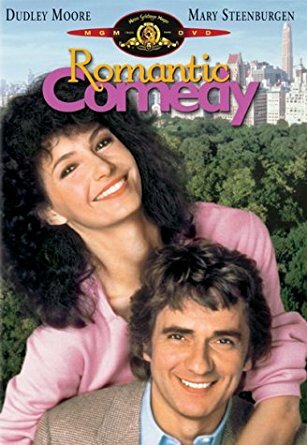 Dudley Moore and Mary Steenbergen should never have been put together here because nothing works when they do scenes together and it’s very difficult to believe them working with one another. There is some witty dialogue ion this film that will be able to elicit a chuckle or two, but overall, it mostly falls completely flat. The story itself is way too predictable and just doesn’t manage to feel original enough at any point. There are too many scenes that just drag on and I wanted it to end so much sooner than it actually does. Bottom Line – Interesting idea that just doesn’t work because of the blatant lack of chemistry between its too leads. Has some witty dialogue that helps keep the story afloat, but it all comes across as being way too predictable for its own good. parts drag on way too much and I just wanted it to end so much earlier.